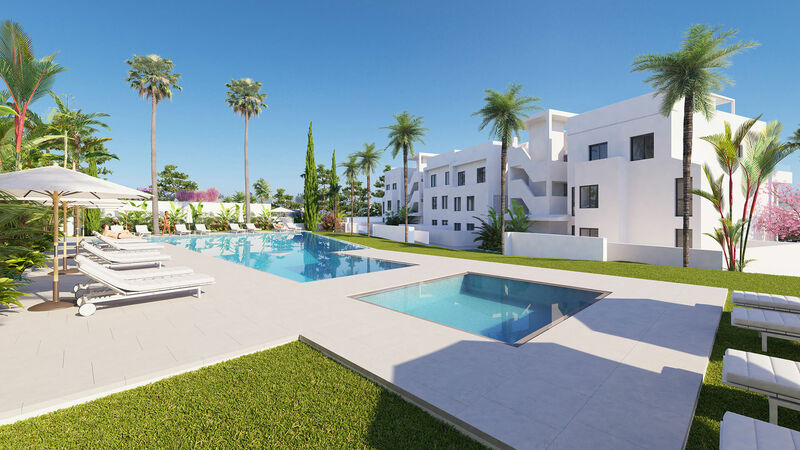 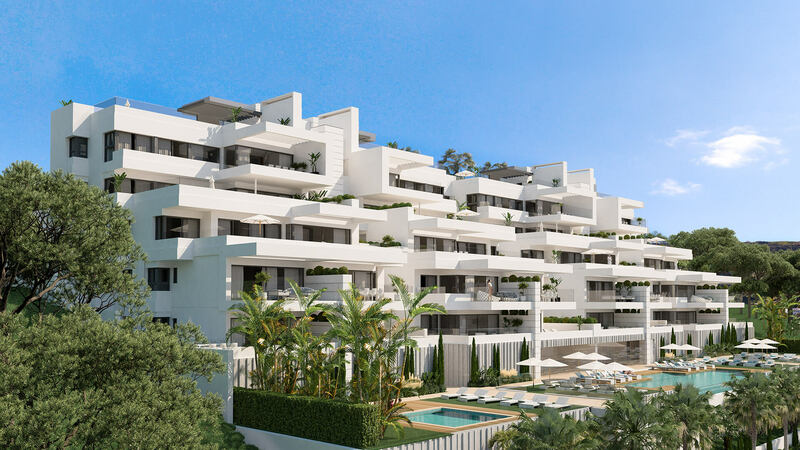 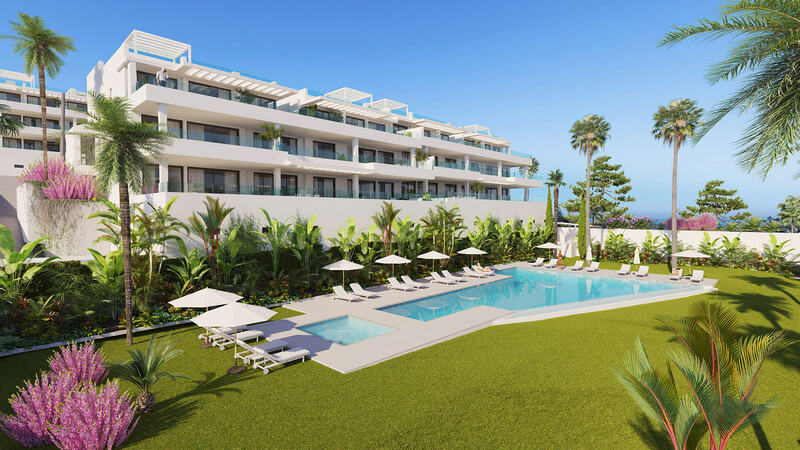 Estepona Waves is a stunning new project consisting of 48 contemporary apartments in Estepona, located only a few minutes’ walk from the beach and local amenities. 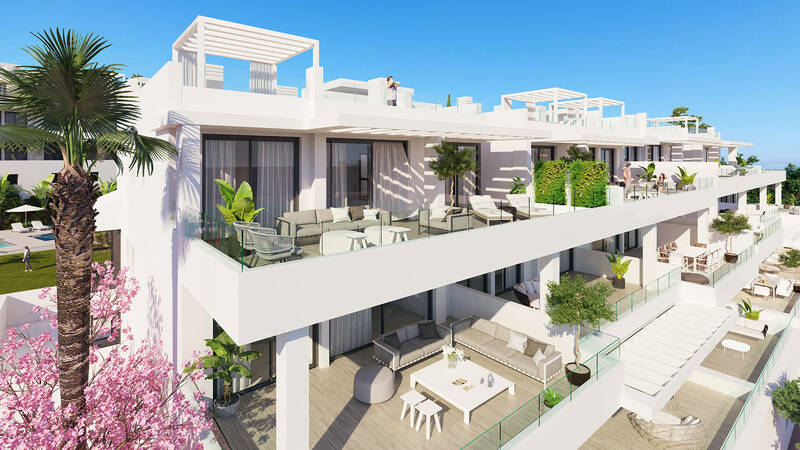 The project boasts superb sea views, large south-facing terraces and is very close to some of the coasts best golf courses. 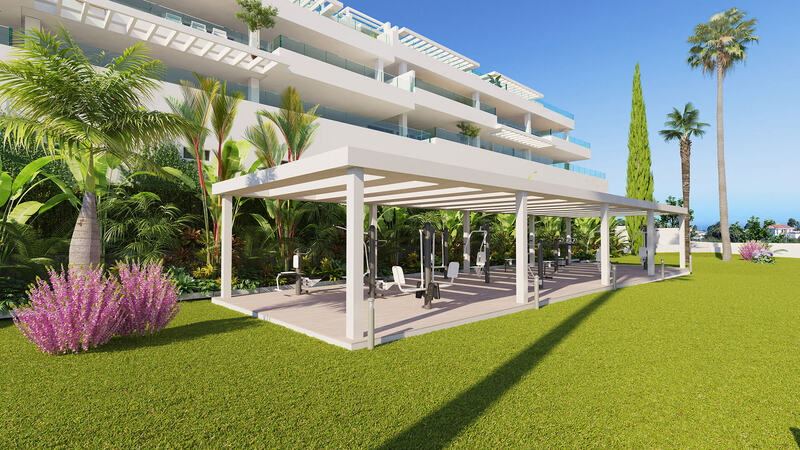 Communal areas include a saltwater swimming pool, an outdoor exercise area and lush tropical gardens. 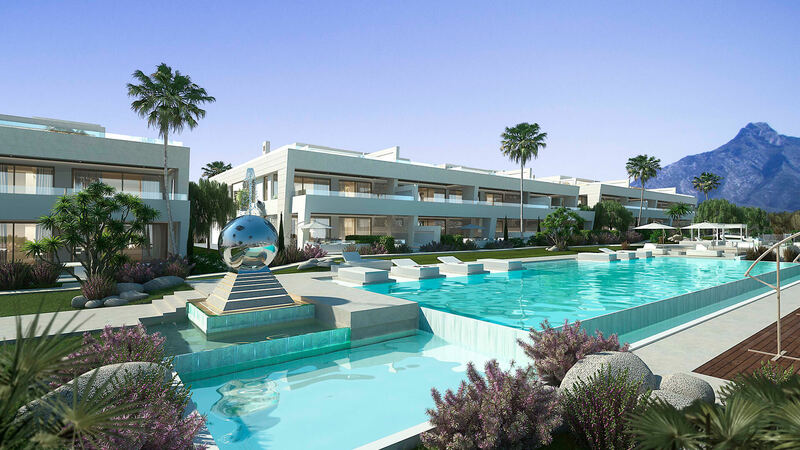 The apartments have two or three bedrooms and are architecturally stunning both inside and out. 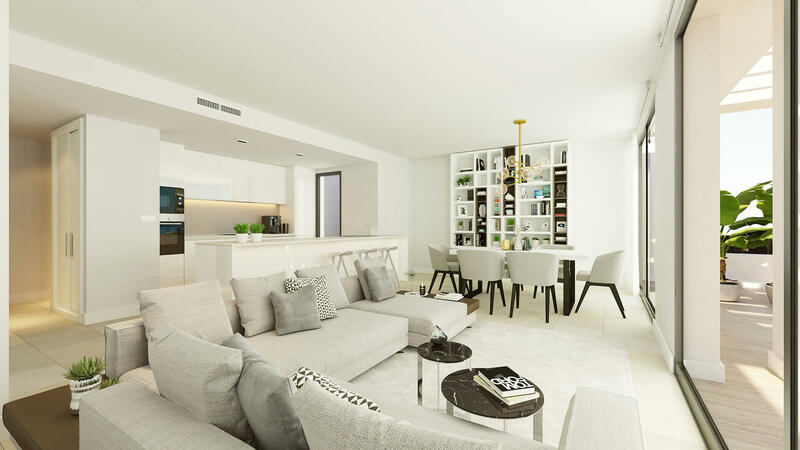 Ground floor units benefit from a private garden, while the penthouses have a large solarium. 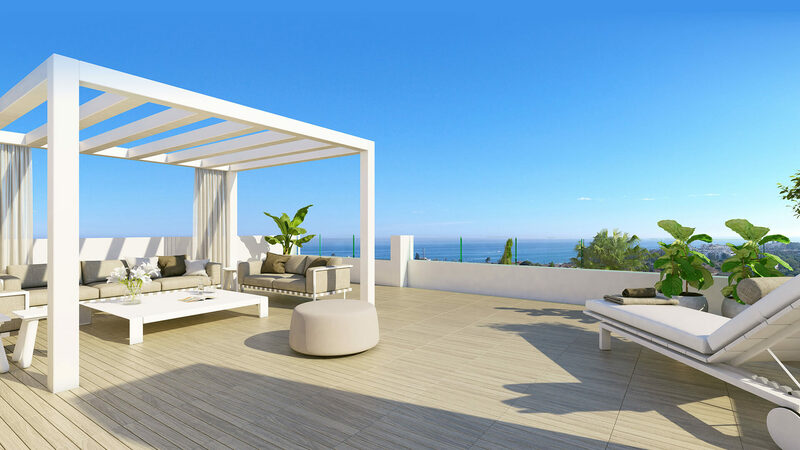 Light and airy open-plan design allow the interior to blend seamlessly with your outside space. 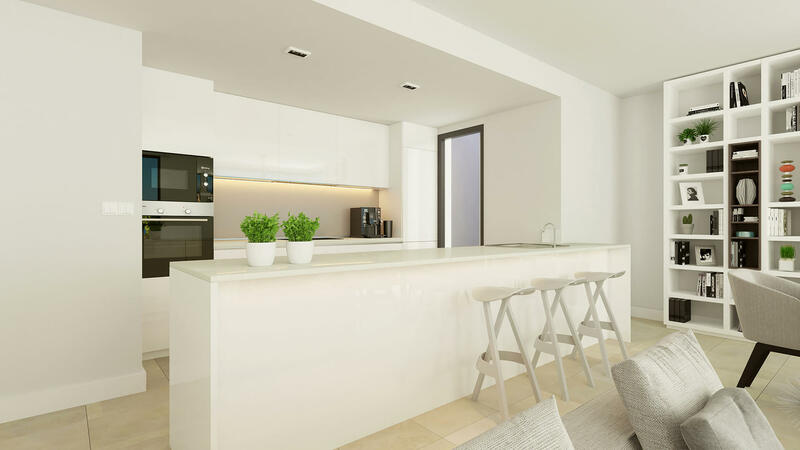 The fully equipped kitchen flows into the living/dining area where excellent use of space gives you plenty of options to personalise your home. 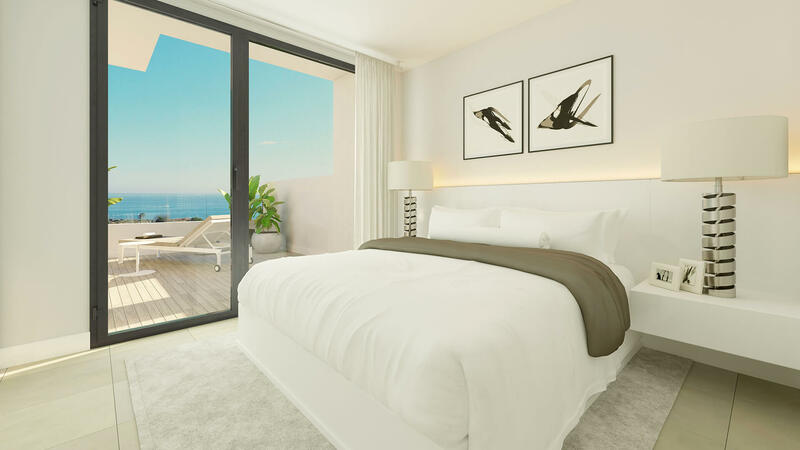 The bedrooms feature fitted wardrobes and the master bedroom includes an en suite bathroom. 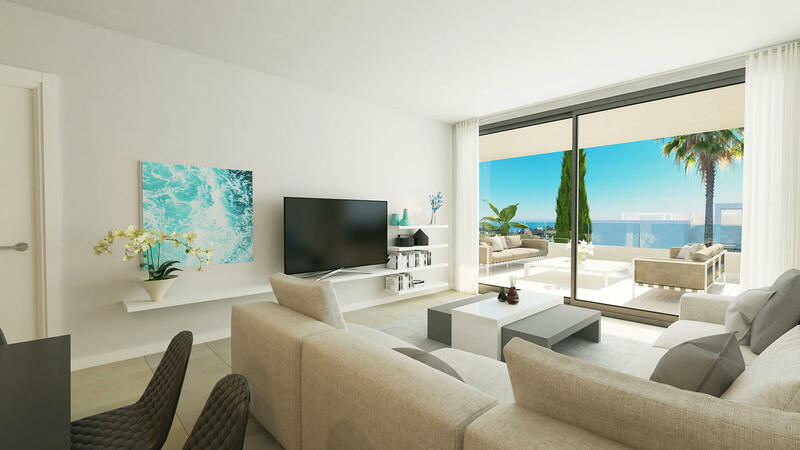 The apartments are finished with high quality features designed for your comfort, convenience and security. 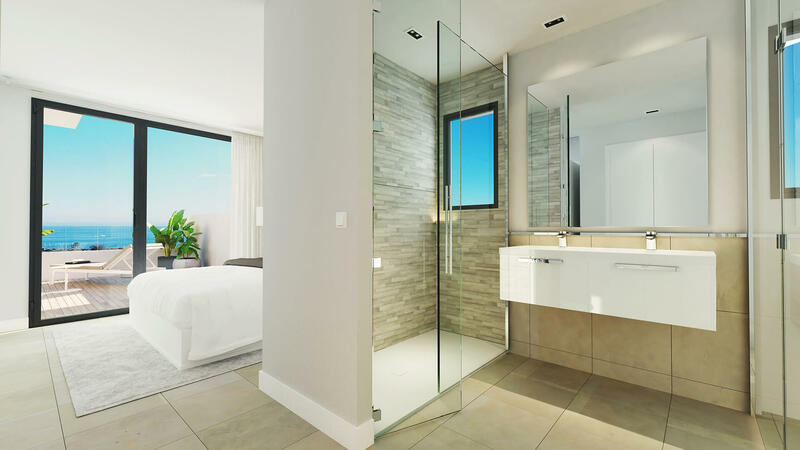 Hot and cold air conditioning is fitted throughout. 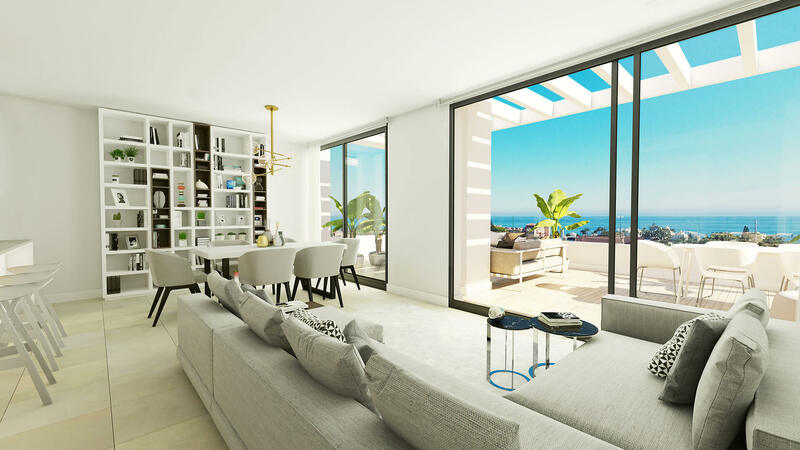 Large floor to ceiling windows allow natural light to flood in. 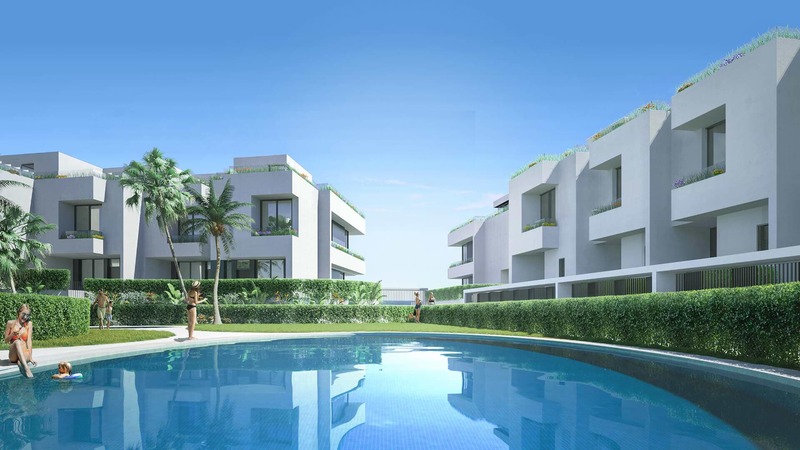 Each apartment has an armoured door and security lock.